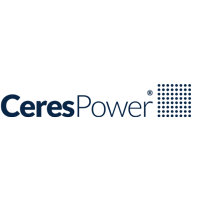 Ceres Power (LON:CWR) Further to Tuesday’s meaningful update on Weichai, Ceres has provided positive guidance ahead of its H1/FY2019 end. Management anticipates revenue to be at least £7m for the 6 months to 31 December 2018, an increase of 125% over the comparative period. As a result, FY revenue is expected to more than double to £15m, an uplift of £3m to our current forecasts (profit detail below). Similarly, in FY2020E we conservatively anticipate revenue to be £1m higher than our previous forecasts. Underpinning this, Ceres has completed two significant milestones with its new partners, Robert Bosch and Weichai, over the past week, with details discussed below. The Company is also noted to be progressing well with all other OEM partners, with further details expected in due course. Ceres has undergone substantial change over the past twelve months, from both a commercial and financial standpoint. The balance sheet is strong, with c.£70m net cash forecast at FY2019 end following recent equity investments, and we continue to believe that this can support Ceres through to profitability. Weichai recap: Tuesday’s announcement provided details on the finalised License and Joint Venture agreements that were needed for the second Weichai payment. Weichai’s total investment will shortly be £48m, representing a 20% stake, following the second £28m tranche. In addition, a new JDA agreement worth £9.0m to Ceres was announced, following on from the initial one agreed in May. This new agreement accelerates the development of the 30kW SteelCell® SOFC to be used in electric buses running on compressed natural gas. The system will be developed and trialled over the next two years and on successful completion it will lead to the formation of a manufacturing JV in 2020. It will be owned 51%/49% in favour of Weichai with it holding three of the five Board seats with Ceres holding the remaining two. Little detail was provided on the License Agreement, except that Ceres will be paid up to £30m for the staged technology transfer. First key milestone with Robert Bosch: The statement today notes that the technology transfer stage has been achieved with Robert Bosch under its collaboration licence agreement. This milestone in the technology transfer process results in a significant staged payment to Ceres of €5m, as part of the £20m deal announced in August 2018. Growing momentum and strong visibility: Our revenue uplift results in a reduced LBT to £7.6m from £9.5m in FY2019E, with a 60% drop through to profitability, and a c.£0.6m improvement in FY2020E. We understand that visibility is strong and would hope for further positive momentum over the medium term. Click CWR for the full archive.